For larger patients, profiling beds must be extra-robust in order to accommodate a higher weight capacity. 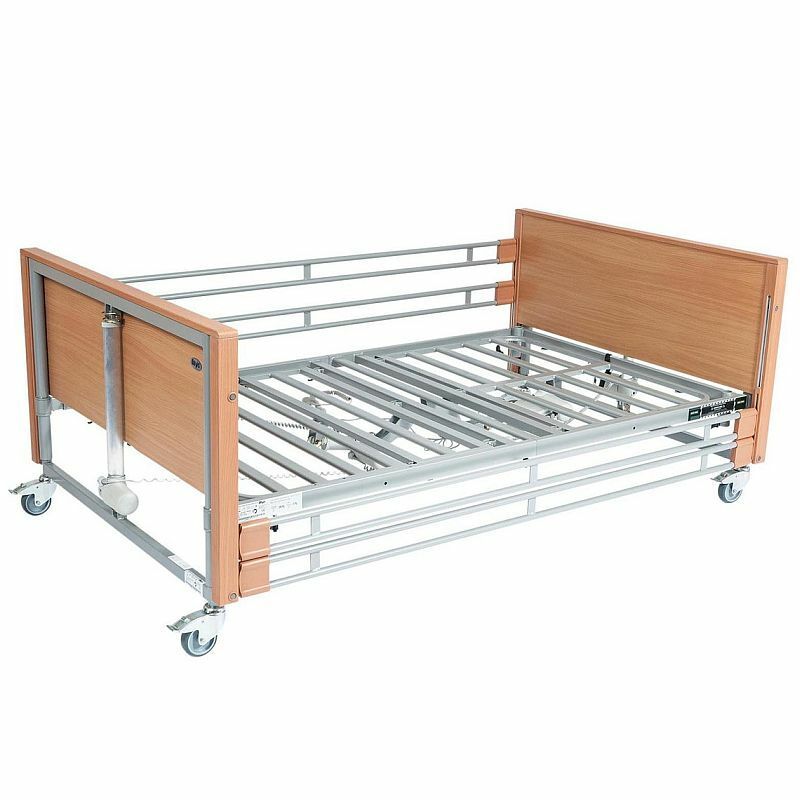 The Casa Med Bariatric Beech Low Profiling Bed with Side Rails is a bariatric profiling option, providing all the functionality of a profiling bed with a 286kg weight capacity. 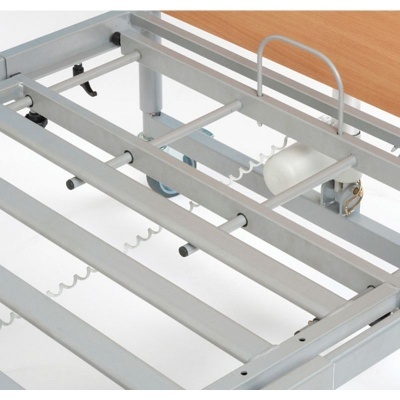 It includes side rails as standard and is made with a special low-profile design, helping to reduce the risk of patient injury while facilitating transfers and positioning. To accommodate larger users, this bed has been made with a robust fixed frame that boasts a bariatric weight capacity. The fixed frame is very robust and stable, with a maximum user weight of 286kg. This height adjustable bed is made with a low-profile design, reducing the risk of patient injury from falls out of bed. This low profile also helps carers, as it assists with patient positioning and transfer. This bed has been made to be as comfortable for the patient as possible, featuring dual action head and knee brake adjustment to help reduce shear when profiling. To ensure proper positioning, the Dewert lockable handset features head tilt capability as standard, and a manual lower leg section levelling device is included for other adjustments. 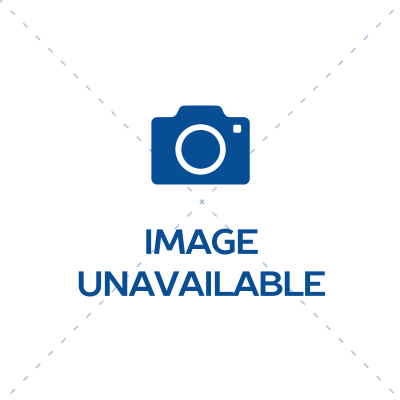 Please note: While the image above shows the Casa Med Bariatric Beech Profiling Bed, the bed sold on this page is the low version.